Fire testing is carried out in order to determine whether the proposed materials meet minimum performance criteria as set out in applicable legislation. Fire testing must consider all applicable provisions of the intended product certification. How can Resonate Testing help you? At Resonate Testing, we have over 150m2 of dedicated fire testing space and an in-depth knowledge and technical capability to understand your specific testing requirements. Two kerosene oil burners – a standard Modified Gun Oil Burner and the new NexGen Sonic Burner both of which meet the FAA and EASA test requirements. 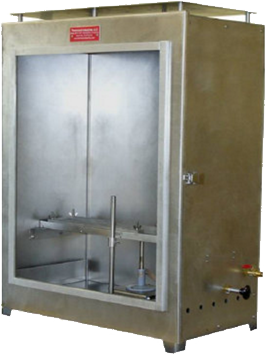 One multi-purpose Flammability Test Cabinet. These burners have the capability of performing a wide range of fire tests including material tests (seat cushion testing, composite and cargo panel testing and thermal acoustical burn-through testing) and systems tests according to FAA & EASA requirements, as well as other manufacturers’ and or customers’ specific procedures. What sets Resonate Testing apart is that we have brought a new capability to the island of Ireland and the UK for organisations locally and internationally. Customers will no longer have to look further afield to Europe or U.S.A. to satisfy their fire testing needs as we have these capabilities on their doorstep. Our custom–built fire and flammability testing facilities combined with our experienced technical staff means Resonate Testing can provide a high level service to meet your testing needs. Furthermore, another unique selling point of Resonate Testing’s fire testing services is that we have the engineering and design know-how in-house to develop and build bespoke rigs which are capable of simulating the actual operational conditions to which components within designated fire zone can be exposed. Fire resistance testing can be performed with load application, vibration conditions (33Hz and 50Hz) and internal fluids at temperature and pressure. 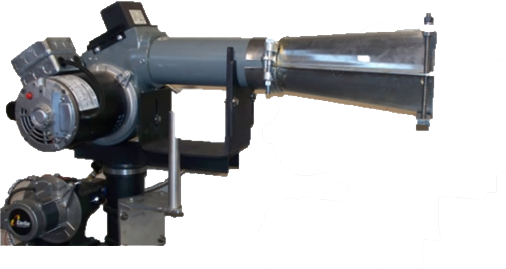 It is also possible to reproduce varying airflows and pressure differentials across test pieces according to operating conditions required.